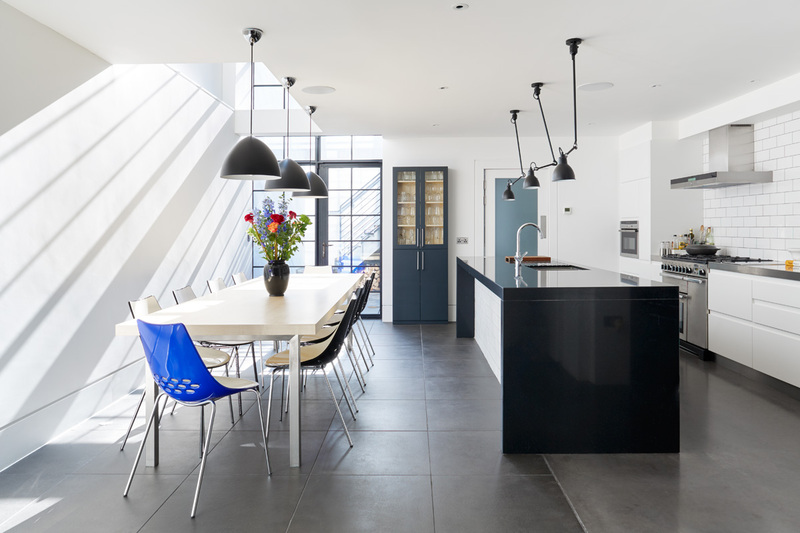 One of our skills as architects is to produce an exceptional design that meets the challenging criteria of the local planning authority – which is the case of this basement conversion project in Clapham. We’re always pleased when we produce a scheme that gains consent and especially so when it’s after a lengthy planning process. 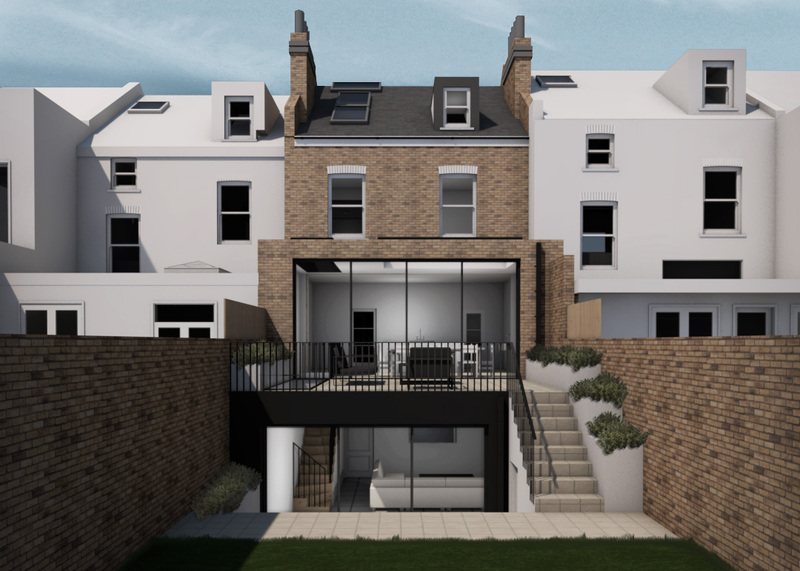 This project is for our clients’ family home, which will add an extra 100 sqm of living space and see the replacement of an existing ground floor extension and a reconfiguration of the whole house. We are delighted to be working on this project because we’ve become experts at designing basement conversions that not only look and function beautifully, but that also keep the water out! Like with this example of another basement conversion in Clapham, which you would hardly know is underground. Our clients are also quite ambitious with what they want to achieve with their property – both above and below ground – and we always love a challenge. It helps of course that the project is in Clapham, where our studio is and where Robert Wilson founded the practice over 30 years ago. There are probably very few streets in Clapham that don’t feature some of our design work somewhere. This project has required quite lengthy negotiations with the local planning authority, in particular, to overcome resistance with regards to impact to the street. To achieve this, we have cleaned up and reorganised the roof, renewed and improved the existing dormers, added roof lights and finally altered the internal floor levels to remove short landings and steps in the plan. Not only has this satisfied the planning team but will make a much better living experience at first and second floor levels for our clients too. We also worked hard to create a strong connection between the ground and basement floors, with naturally lit spaces at basement level. The potential lack of light in basement schemes is always a concern for the local authorities. Fortunately, we have a lot of experience in creating well-lit basement conversions in Clapham, such as with the example below of our project Westover Road. The requirement of natural light throughout the house is a key element of our design brief. To facilitate as much light coming into the house as possible, we have designed an open staircase up to the second floor with roof lights at the top to illuminate the first and second floors and the ground floor hallways. We have been careful with our planning strategy, submitting multiple applications to keep the project moving forward while looking for incremental improvements on the scheme. We’re currently awaiting a decision on a further planning application to add extra space to the mansard roof level too, all the while the works are moving forward on the consented basement and ground floor works. This project is an excellent example of how a careful strategy for planning consent is required if you want to pursue a challenging architectural design. 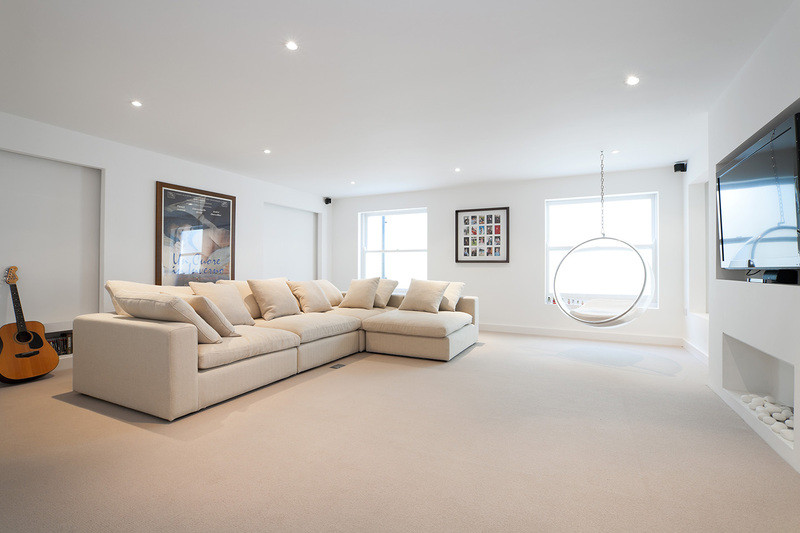 We have a great deal of experience of achieving planning consent in Clapham and for basement conversions in Clapham too. Please get in touch if you would like some help or advice.